The Great Ocean Road, one of the worlds greatest coastal drives. I got a train into Melbourne early in the morning and picked up the Ford Falcon, my hire car for the next few days. It took about an hour to get to Geelong which is south from Melbourne just at the south west corner of Port Philip Bay. From there the great ocean road heads south towards Torquay and then along the coast west approximately 300km. 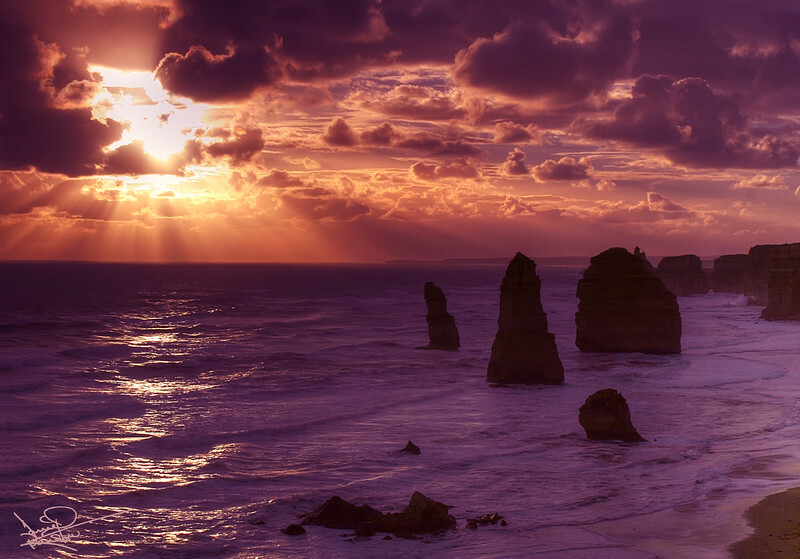 Just about 100km along the coast is the main reason to embark along the ocean road, the 12 Apostles. A number of limestone stacks protruding from the ocean just off shore. I stopped off there about 3 times in total, a couple during the day and once at sunset.